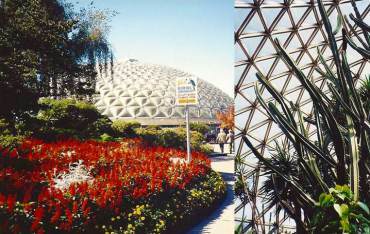 In the 1980s I worked for the Tacoma Park District at the W.W. Seymour Conservatory and at the Point Defiance Greenhouses. We had a little gift shop at the conservatory with plants for sale. Occasionally we would get a customer who wanted advice on selecting a houseplant. The person wanted a plant but would admit that he or she “have no light” (or very little light) in the house. I would have to tactfully tell those customers they needed to buy some grow lights or to “try silk” artificial plants. Plants require light for photosynthesis. It is the critical chemical reaction that enables them to make their own food for survival and growth. The only exceptions are nongreen, parasitic plants. Besides light, plants need appropriate temperatures, water, air and soil nutrients. 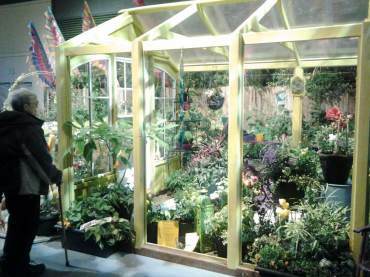 The earliest greenhouses were developed in the 17th century and were known as orangeries. They were used to overwinter oranges and other citrus trees so that wealthy European aristocrats could enjoy fresh orange juice. They eventually came to house other varieties of tender, exotic plants. 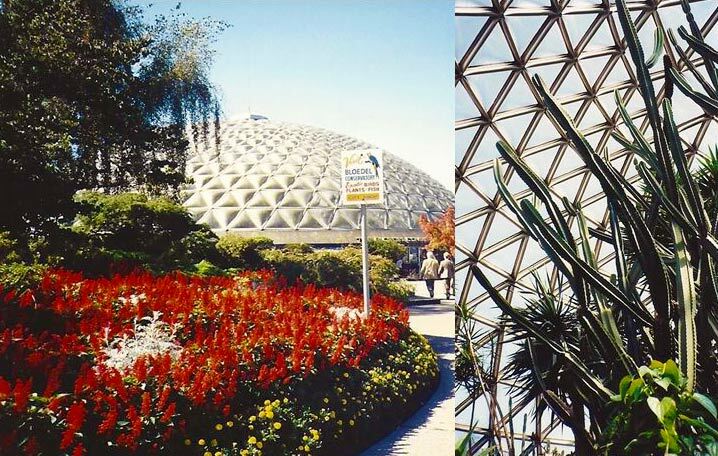 The golden age of greenhouses was the 19th century, the Victorian era, when plant explorers were bringing back exotic plants from all over the world. Many aristocrats had to have their own “crystal palaces” to house their treasured botanical collections. My old cold frame made from PVC pipe, 2006, which collapsed after a snowstorm. 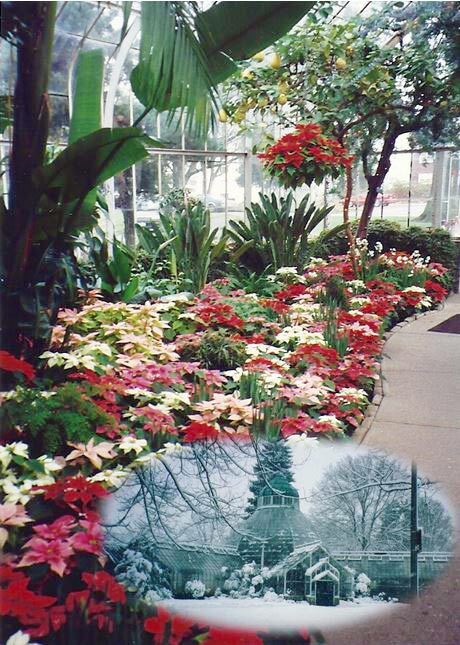 Botanical conservatories are greenhouses originally designed to “conserve” plant collections. Public conservatories such as the W.W. Seymour Conservatory at Wright Park in Tacoma and the Volunteer Park Conservatory in Seattle often have few permanent specimens now, as plants are swapped out, to and from their support greenhouses, to provide the most attractive displays. They often feature seasonal floral displays. 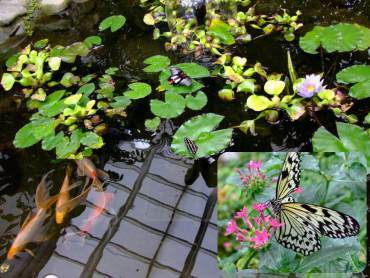 Greenhouses may also be used as homes for creatures on display, like the Butterfly House at the Pacific Science Center. Today environmentally controlled greenhouses are used commercially for propagation, growing and sales of many flower and vegetable crops. One of Woodbrook Nursery’s propagation cold frames made from sturdier bent steel pipes. 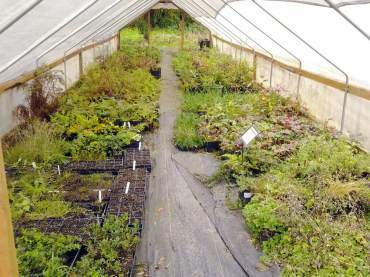 Home greenhouses can be used to start seedlings for later transplantation into the garden and to keep exotic plants that are not winter hardy. If you dream of owning your own greenhouse, there are many things to consider, such as the location and orientation for adequate sunlight; the cost of materials and labor; how it will be heated, cooled, and shaded in the summer; and how to provide for ease of irrigation. 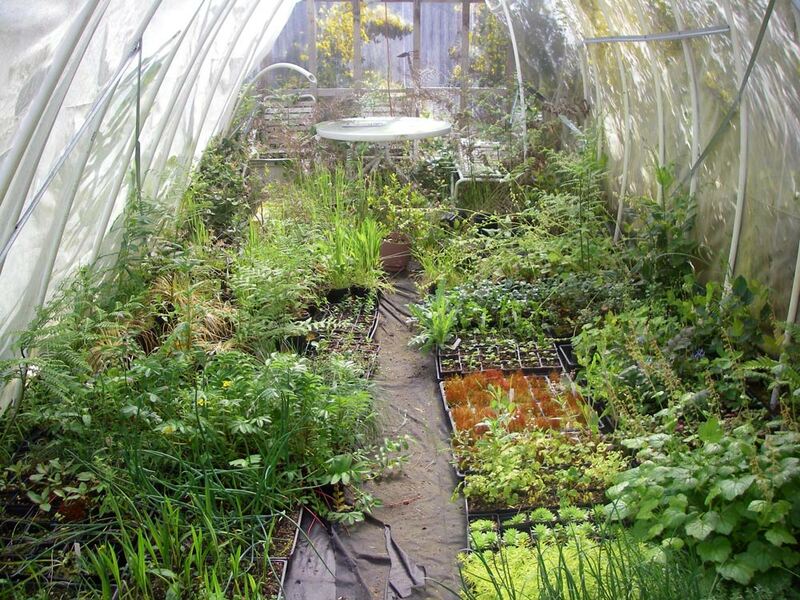 You could buy a prefabricated greenhouse if a small space is all you need for starting transplants. If you want to add a sunroom, an additional living space for your home, you may need to hire an architect and builder. Another consideration is the maintenance that is required. You might think having an old-fashioned, glass-paned greenhouse is a romantic notion, but it can be a maintenance nightmare needing frequent attention — replacing broken glass, scraping, caulking and repainting. They also are very expensive to heat. 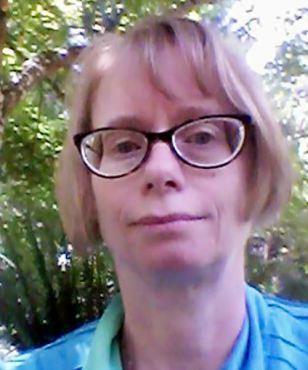 Other rigid materials, such as fiberglass and corrugated plastics, are more practical and are better at holding in heat but are not as attractive and can yellow with age. Hoop houses or cold frames are covered with polyethylene or PVC film, which needs to be replaced every one to five years depending on the quality. Commercial greenhouse films have ultraviolet inhibitors to protect against degradation that otherwise would cause it to crumble prematurely. The structure itself needs to be sturdy enough to stand up through all kinds of weather. Cold frames frequently collapse under heavy snow. Heated greenhouses are less susceptible because escaping heat will melt enough of the snow so that it will slough off inclined roofs. Shade cloth also is often used to cover greenhouses in the summer and is taken down every winter. Recycled materials are another option. I have a greenhouse my husband built on the south side of our house using old double-paned, sliding glass doors. We designed it so that the glass would be perpendicular to the sun’s rays at noon on the vernal and autumn equinoxes. In spring and fall, it provides passive solar heating to our home. The roof is solid so that it does not get too much sun in the summer. Gardeners who have a greenhouse can enjoy getting their hands dirty and nurturing their seedlings and prized plant and flower specimens no matter how miserable the weather is outside. If you decide you want to build a greenhouse or cold frame, it is beneficial to do some research to figure out what would best suit your needs and your budget. Otherwise you can visit or volunteer at one of the public conservatories or nurseries in our region to enjoy the warm, earthy, plant-filled atmosphere of a greenhouse.